Richard admits that he is very much a product of the generation that grew up alongside the internet. He says that he always knew that he would end up being involved in a digital career. Richard worked for over a decade in sales and marketing but jumped at the opportunity to take on a position that fulfilled his childhood ambitions. 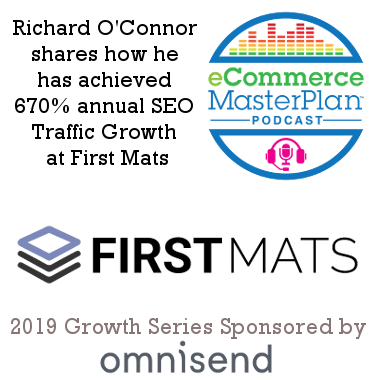 It was at a chance meeting with his friend Paul, who happens to be the owner of First Mats, that Richard’s eCommerce career started. Paul asked him to come on board as Marketing and Strategy Director and the two have been building the company ever since. Richard says the learning curve has been steep and that everyday has new challenges and surprises–including the much loved google algorithm updates. Yotpo: Integrates well and and makes getting reviews easy. Tawk.to: Integrates nicely and doesn’t slow the site down, the online chat tawk.to allows the company to communicate with customers. The First Mats team is composed of just Paul and Richard in house, alongside a lot of talented freelancers. Content writing, website design and development and PR are all done by freelancers. Richard says that the quality of freelancers is excellent and perfect for their young business. His advice is to recognize what your internal team is good at and what needs to be outsourced. 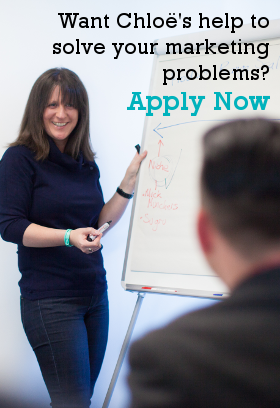 Using other people’s skills can take a huge weight off the shoulders of lean teams. 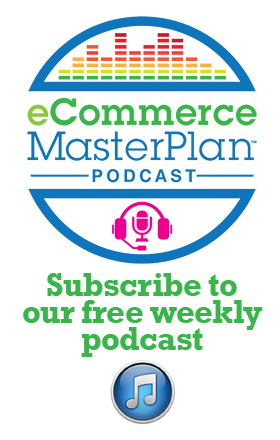 Listen to learn money saving tactics for new B2B eCommerce businesses. Currently, First Mats uses dropshipping, which is another great solution for newer businesses. 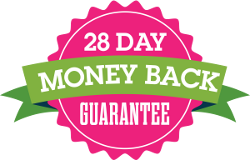 Dropshipping is a great way to build a business up without the risk of having to put out a huge amount of cash up front. Social proof is an important part of the companies strategy. Building trustworthiness in multiple ways such as being featured in publications and collecting reviews from the likes of tawk.to aligns with the companies SEO strategies. Not only is Google happier with companies who have reviews and cross links but Richard points out that building trust in the business converts customers. They attribute much of this success to working in line with Google algorithm updates. Richard says that embracing the changes has been crucial to the companies success. Google’s guidelines require online companies to provide great content which, according to Richard, is a double win. Providing excellent content, buyers guides, strong cross links and social proof is a good business strategy anyway and the fact that it increases SEO results is an added benefit. Building the right content is crucial. What helps eCommerce rank well vs. what helps an information site rank well are different. Simply looking at what Google puts at the top of the list in your category is a great way to start understanding what Google is looking at. The foundations of any eCommerce business are the product pages. Getting that right is essential and the sooner you do get it right, the sooner you’ll enjoy the benefits. Buyers guides are a great way to build content because you can target a niche keyword in the guide without having to build a page around it. Link building is part of building trust, but it’s more important to have the right links than it is lots of links. Quality over quantity. Building an even strong customer service experience for First Mats in 2019 is one of the things Richard is looking forward to in the New Year. The company is already looking to add another person to their team who will be dedicated to customer service and Richard is thrilled that First Mats customers will have a dedicated person to look after them. He also stresses the importance of recognizing when and where to delegate so that everyone can focus on their specific job to help move the business forward. SEO: It’s hard work and can take time, but the predictable and sustainable results are well worth it. Good ol’ fashioned communication. Just because you’re in a digital environment doesn’t mean you need to have a digital solution. The team uses slack to communicate with some of their freelancers, but face to face communication is essential. Take a step back and really analyze your site from your customers point of view. If you want to compete today you have to be providing a great customer experience.